You can only connect individual drawings to the matte port of a Cutter. You cannot use a composite or effect as the matte of a Cutter. 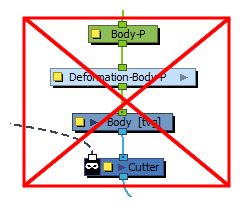 Although drawing nodes have their own matte port, you should not use them. 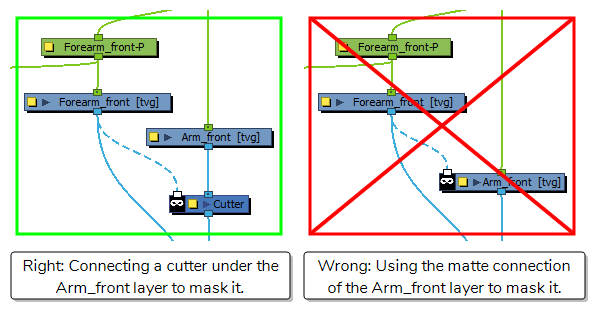 You must use Cutter effects if you want to mask parts of certain layers.